SDLC (Software Development Life Cycle) is a step by step approach to developing the software. 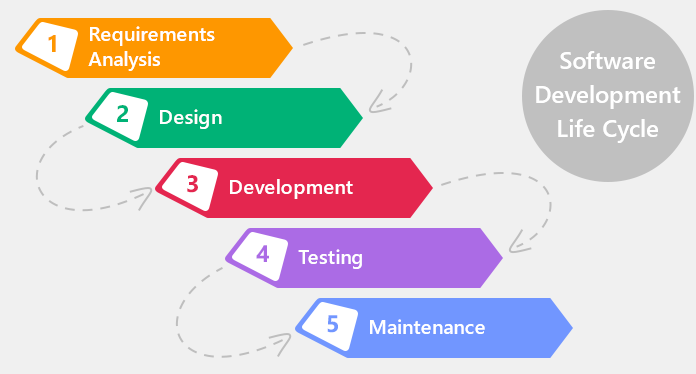 For detailed understanding of the steps, visit my article on this link (https://www.h2kinfosys.com/blog/software-development-life-cycle/). The ISO/IEC/IEEE 12207:2017 standard also provides the well-defined set of software life cycle processes for development of software [Read the introduction from Ref: https://www.iso.org/standard/63712.html]. The approaches to developing the software can be broadly classified into the sequential approach and iterative/incremental approaches. The classification of the SDLC models in software development is due to the differential project scenarios. The varying environments of software development, technology, client requirements, budget constraints etc. constitute the project scenarios. The IT Project Manager or IT company framework chooses the most appropriate SDLC model for software development. The popular SDLC models that follow sequential processes are waterfall model, V model etc. Waterfall model is also known as the traditional model, classic model, predictive model. It follows the top-down approach to develop the software, hence the name waterfall model. The new requirements or changes in the requirements in the mid of the project are not acceptable. The IT team starts the software development processes with clear and complete requirements from the client. This model is applicable only for simple and low budget projects. Another popular sequential approach to develop the software is V model. The V model has the four levels of software testing- the Component(unit) testing, integration testing, system testing and acceptance testing levels. At each level of software development, different documents produced are used as Test Basis. In the component testing, each program component is tested independently in isolation by the developers. The statements, decisions, programming standards are tested at the program level. The development environment supports the component testing with the debugging tools that are inbuilt. The next level of testing is integration testing, wherein the interfaces between the programs or the modules are tested, often carried out in the development environment. The system testing is done by the independent software testing team. Both the functional and nonfunctional requirements of the software are tested to identify the defects and verify the software behavior. The software can be released to the client only after the approval from QA team. The various software testing tools and procedures are used for testing the software. System testing is followed by User acceptance testing(UAT). The UAT is done by end users either in the IT environment or real environment for acceptance of the software. The business analysts coordinate and software testers might have to provide testing assistance to users. The testing carried out by the end users in IT environment is termed as Alpha testing and in the real environment is termed as Beta testing. The right side of V model is termed as Validation- “Are you building the right thing” and left side is Verification – “Are you building it right?”. The sequential processes are limited to the simple projects. The changing trends in Information technology and complex software solutions required from the clients have urged the need for iterative/incremental approaches. Identify the different types of SDLC models. What is Verification & Validation? What are different levels of testing in V model? This article is written by Priya, Sr. Faculty at H2K Infosys. Why do you need to do Performance Testing? Explain the different bug status available in the defect life cycle? Q1. Identify the different types of SDLC models. Q2.What is Verification & Validation? Validation is the testing part of the lifecycle that is the Quality assurance process where we only test if the functionalities are working as expected or not. Verification on the other hand is quality control which means if any defects are found, the developer also corrects it. Q3.What are different levels of testing in V model? 1Q).Identify the different types of SDLC models? 2Q)What is Verification & Validation? A) Verification is to make sure that the product being develop is as per the requirements and design specifications and Validation is the process of evaluating software at the end of the development process to determine whether software meets the client expectations and requirements. 2Q)What are different levels of testing in V model? A) There are 4 levels of testing in V-Model. They are Component(unit) testing, integration testing, system testing and acceptance testing levels. 1. Identify the different types of SDLC models. Waterfall Mode – Waterfall model is also known as the traditional model, classic model, predictive model. It follows the top-down approach to develop the software. V Model – The V model has the four levels of software testing- the Component(unit) testing, integration testing, system testing and acceptance testing levels. 2:What is Verification & Validation? Ans: Verification and validation are independent procedures that are used together for checking that a product, service, or system meets requirements and specifications and that it fulfills its intended purpose. 3: What are different levels of testing in V model? Iterative or Incremental models: examples are Agile. Verification & Validation; Verification is to make sure that the product being developed is as per the requirements and design specifications. Validation is a process of evaluating software at the end of development process to determine whether the software meets the customer expectations and requirements. The following are the different levels of testing in V model: Component( unit) testing, integration testing, system testing, acceptance testing. The V model has the four levels of software testing- the Component(unit) testing, integration testing, system testing and acceptance testing levels. Ans: Verification is a process of evaluating the intermediary work products of a software development life cycle to check if we are in the right track of creating the final product. Validation is the process of evaluating the final product to check whether software meets the business needs. Ans: The V model has four levels of software testing- the Component(unit) testing, Integration testing, System testing and Acceptance testing. Verification & Validation are two separate process to ensure the quality control and quality assurance of the final product. 2.What is Verification & Validation? 3.What are different levels of testing in V model? The V model has the 4 levels of software testing- the Component(unit) testing, integration testing, system testing and acceptance testing levels. 1. Identify the different types of SDLC models. Ans: Examples of popular SDLC models that follow sequential processes are waterfall model and V model. 2. What is Verification & Validation? Validation deals with whether the functionality is working or not working. Verification deals with why something isn’t working. 3. What are different levels of testing in V model? Ans: The different levels of testing in V model is: acceptance testing, system testing, integration testing, and unit testing. Verification is Quality Control ,in the development process the defect is corrected and corrective action is also to taken. Validation is Quality Assurance process,whether the functionality is working or not. Testing part is done in Validation. There are different kind of SDLC model . which model to us is dependson many factors like varying environments of software development, technology, client requirements, budget constraints etc. constitute the project scenarios. The IT Project Manager or IT company framework chooses the most appropriate SDLC model for software development. a.	Waterfall model also known as the traditional model, classic model, predictive model or sequential model. Verification – “Are you building it right?”. 1) Different types of SDLC models are waterfall model, V model Waterfall model classic model, predictive model. 2) Verification is to make sure that the product is developed as per the requirements and needs of the client and Validation is the process to check the software at the end of the development process and to make sure that it meets the client requirements and needs. 3) Different level of testing in V model are Component(unit) testing, integration testing, system testing and acceptance testing levels. Thanks for sharing, SDLC outline idea to understand the concept, how and where is it used. 2. What is Verification & Validation? Verification means verifying or reviewing the Documents,design,code & programs. Execution is not involved. It is done to ensure that software is as per the specification. Validation is to test the actual software. Execution is involved.It is to ensure that software meets the requirement and expectations. 3. What are different levels of testing in V model? 1.Identify the different types of SDLC models. a.Sequential Model: Waterfall model, V-Model etc. Verification: It means quality control where the testing and error correction takes place. Validation: Means Quality assurance where testing and defect reporting takes place. Unit testing, Integration testing, System testing, User Acceptance Testing. -It is a process of checking that the software meets the specification. -It is the process of checking whether the specification captures the customer’s needs. Identify the different types of SDLC models? 4 levels of testing in V-Model. They are Component testing, integration testing, system testing and acceptance testing levels. Validation is the process to check to see if the business needs are met. 3. component (unit) testing, integration testing, system testing, acceptance testing. 1)Identify the different types of SDLC models? 2)What is Verification & Validation? Validation is the process to test if the functionality is working or not. 3)What are different levels of testing in V model? They are Component(unit) testing, integration testing, system testing and acceptance testing levels. 1. Different types of SDLC models. Water falls,V-model, Spiral Model,Agile Model and Iterative Model. 3.Different levels of testing in V model. V model has the four levels of software testing- the Component(unit) testing,Integration testing, System testing and Acceptance testing. 2. Verification & Validation are the terms used in “V” model, a sequential approach to software development. Verification is checking whether the software developed is of high quality by verifying documents, design, code and program. Validation is the process of evaluating the final product to check whether the software meets the customer expectations and requirements. 3. The 4 Levels of Testing in V-model are Component, Integration, System, and Acceptance testing. 3. Four levels of V-model testing are Component, Integration, System, and Acceptance testing. 2. Verification means Quality control process where developer take corrective action against any defect. Validation means Quality Assurance process where they report the defects. 2. Validation is the process of checking whether the specification captures the clients needs, Verification is the process of checking that the software meets the specification. Types of SDLC models: Waterfall, V-model, Agile, Spiral, Iterative. Verification: To check if what is been done is correct. Validation: To check if what is been done is as per the requirements. Types od SDLC models- water fall model and V model. verification is done by developers and programmers to meet the software requirements as per the client requirement and application. Validation – is done by an QA software testing team by testing the functionality of the software at various levels with different types of testing. levels of testing in V model – Component(unit) testing, integration testing, system testing and acceptance testing. Different levels of testing in V model? Validation: is process to evaluate the software to see if it meet standard for client request. The three level of Testing the V Model are: Intergraded testing, Unite testing and System testing. 2. Validation is whether the right is being built and Verification is whether it is built rightly. waterfall model, V model etc. Waterfall model is also known as the traditional model, classic model, predictive model. It follows the top-down approach to develop the software, hence the name waterfall model. Other two models are Spiral and Agile scrum. Agile is the most popularly accepted by corporate today. A2 : Verification is quality control process where corrective action will be taken in order to fix the defects to correct functionalities. Validation is quality assurance process where functionalities will be checked if they are working correctly or not. 2 Verification is to make sure that the product being developed is as per the requirements and the design specifications. Validation is a process of evaluating the software at the end of development process to determine whether software meets the customer expectations and requirements. 1. The different types of SDLC models are waterfall Model, V model, Spiral model, Agile model and Agile scrum model. 2. Verification means verifying or reviewing the Documents, design, code & programs. Execution is not involved. It is done to ensure that software is as per the specification. Validation is to test the actual software. Execution is involved. It is to ensure that software meets the requirement and expectations. 2. -Verification: It also means a Quality control process. It focuses on corrective action to be taken. Here, if any defect is found in any phase then developers are required to rectify the defect to meet the requirement. -Validation: It also means Quality assurance process. It focuses on process of improvement. Here, if any defect occur, it only gives pass or fail result. a. The component/unit testing: Here each program is independently tested. Done by developer. b. Integration testing: It tests the interface between programs. Done by the developer. d.	User acceptance testing: The testing done by the end users. In UAT it has divided into two test. Alpha ( IT environment) and Beta Testing (Real time environment). 2. Verification :Is the process of checking whether the specification captures the customers needs “Are you building right thing”. Validation : Is the process of checking that the software meets the specification”Are you building right”. 3.V Models has four levels of software testing: Component testing , Integration testing, system testing, acceptance testing. SDLC Model – Water Fall Model,V Model, Sprial Model, Agile Model. Types of SDLC – Sequential, Iterative. Verification – Are you building the product right? Validation – ARe you building the right product? 3.) What are different levels of testing in V-model? Ans – Verification – Requirements, Specification Design, Architecture Design. Validation – Unit, Integration, system, Acceptance. Verification – Its Quality control process. Its a design and development phase that’s performed by BA team, PM and Software developers. Validation – its Quality Assurance Process. its a testing phase that’s done by testers. Tester will assure that software has given the output as per the client requirement. –Unit Testing – This testing is done by developers, each program or page tested by independly. This testing has done in development process of software. –Integration Testing – This testing is done by developer too, test integrate between program/ two or more then two pages. This testing has done in development process of software. –System Testing – This testing has done by QA tester. Tester will find defects and make Defect report. –User Acceptance Testing – This testing is done by Users, It has two types of testing. (a) Alpha Testing – This testing is done in IT environment and performed by internal tester of organization. (b) Beta Testing – This testing is done in Real environment performed by client or real user. Validation is testing aspect of the model , to make sure that the product meets the requirements.And it corresponds to “Are you building the right thing”. Q3. Component(unit) testing, integration testing, system testing and acceptance testing. 1. Waterfall, V model, Spiral, Agile. 2. Verification is making sure the client requirements are being taken of in the product and Validation means checking whether the end product is what the client desired. 3. Unit testing, integration, system and acceptance. The process of evaluating software to determine whether the products of a given development phase satisfy the conditions imposed at the start of that phase. The process of evaluating software during or at the end of the development process to determine whether it satisfies specified requirements. iterative and incremental models are spiral mode and agile model. validation is the process of checking whether the specification captures the customer’s needs. verification means the process of checking that the software meets the specification. 2. Ans. : Verification is the beginning process of V Model. It is to make sure that the product being developed is as per the requirement & the design specifications. Validation is last process of V model of V Model. It determine whether the software meets the customer expectation & requirements. 3. Level of testing in V model: the Component(unit) testing, integration testing, system testing and acceptance testing levels. Verification; its testing and error correction, its also known as quality control. Its done at the developer’s level. Validation: its testing and defect reporting also known as quality assurance. Its done at the testers level. 1. Identify the different models of sw development life cycles. 2. What is the difference between verification and validation? Verification(quality control): is the process that control the software to determine the satisfaction of the requirement. it is done by the developer during or final process of the software. Validation(quality assurance): is the process of evaluating the final output to check whether the software satisfy the customer expectations. requirements. Verification is to make sure that the product is developed as per the requirements and needs of the client. Validation is the process to check the software at the end of the development process and to make sure that it meets the client requirements and needs. 1) Water fall, Agile, Vmodel, Spiral model. 2) verification has the preQA process, whereas validation is the QA process. Verification is testing the client’s requirement in the software and error correction. Verification means testing the client requirement and Validation means if software meets the client requirement. 2. Verification is a static practice of verifying documents, design, code, and program. It does not involve executing the code. This process is done by QA team under Static Testing. Validation is a process to ensure and to check whether the software meets the client’s expectations and requirements. It always involves executing the code. This process is done by IT team members and they use Dynamic testing (white box and black box) to validate the final software product. Types of SDLC models:waterfall model, V model, Agile model,spiral model,iterative model. V-Model is also called as validation and verification model. Verification:It is build on left side of system. It is the process of evaluating products of development phase to find out weather they meet the specifies requirements. Level of V models: the Component(unit) testing, integration testing, system testing and acceptance testing levels. 2. Verification: It is a Quality Control process. Testing + error correction. Eg: Developers run and check the errors while writing the programs and then fix the errors. Validation: It is a Quality assurance process. Testing + defect reporting. eg: System test by QA. A very comprehensive article about Sequential Testing methods, the various levels and identifying what method would be used in a particular project. Validation is to make sure all the client requirements are met. 2)Verification is a process of verifying documents, design, code, and program. It does not involve executing the code. Validation is a process to ensure and to check whether the software meets the client’s expectations and requirements. 2 Verification ensures the software meets the specification and validation is process of checking whether the specification has captured customer’s needs. 3.The V model has four levels of software testing: Component(unit) testing, integration testing, system testing and acceptance testing. If the Client comes with more requirements in the middle of the project then those requirements are rejected. This model is applicable for simple and low budget projects. -V model is based on verification( Quality Control i.e Testing and Error correction ) and validation (Quality Assurance i.e Testing and defect reporting) techniques. In this process BRD tested by Acceptance testing,FSD tested by System testing, Architecture design tested by Integration testing, Module design docs tested by Unit testing and followed by Coding. -Spiral Model is used for complex projects like building space crafts which have high risk of failures to check the safety of critical systems. 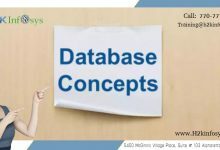 This kind of model starts with incomplete or partial requirements and then keep on adding new requirements .This model is very expensive and time consuming as the project undergoes each phase repeatedly. -Agile Scrum Model }frequent changes in the requirements or when the modules of the software needs to be released due to tough competition in the market. 1)Sequential models: Waterfall model and V-model. Verification is the process, to ensure that whether we are building the product right i.e., to verify the requirements which we have and to verify whether we are developing the product accordingly or not. Validation is the process, whether we are building the right product i.e., to validate the product which we have developed is right or not. levels of testing in V-model: component or unit testing,integration testing,system testing,user acceptance testing. Sequential approach we have Waterfall Model and V model . waterfall model also known as Traditional model,predictive model.this model is applicable for simple and low budget projects. V model has 4 levels of testing Unit Testing,integration testing,system testing,acceptance testing. Iterative models are Spiral Model,Agile scrum. Verification is done by Developers,verification means Quality control process,Testing +error correction. where as Validation means Quality assurance,Testing+defect reporting,done by QA s.
Unit testing:each program component is tested independently by the developer. integration testing:here the interfaces between the programs or modules are tested by the developers. System Testing:both functional and non functional requirements of the software are tested to identify the errors and verify the software,which is done by QA. UAT(User Acceptance Testing) : It is Done by the end users in the IT environment or Real time environment for the acceptance of Software. 2.Verification is to make sure that the product is developed as per the requirements and needs of the client and Validation is the process to check the software at the end of the development process and to make sure that it meets the client requirements and needs. Q.1. Identify the different types of SDLC models. Q. 2. What is Verification & Validation? product is developed as per the requirements and needs of the client . Q.3. What are different levels of testing in V model? – There are four different levels in V- Model Testings. They are as under. V-model, Waterfall model, spiral model, agile model, agile scrum model etc. Verification is quality control process. Developers take corrective action. The defects are resolved by the developers to control the quality of the application. Validation is quality assurance process. We just check the behavior of the application. And report if the test is failed or pass. We do not check the reason for failure instead we report the failure to development team for further action. Verification is a process of evaluating the intermediary work products of a software development lifecycle to check if we are in the right track of creating the final product. Validation is the process of evaluating the final product to check whether the software meets the business needs. The V model has the four levels of software testing- the Component(unit) testing, integration testing, system testing and acceptance testing levels. In the component testing, each program component is tested independently in isolation by the developers. The integration testing, wherein the interfaces between the programs or the modules are tested, often carried out in the development environment. The system testing is done by the independent software testing team. User acceptance testing(UAT) is done by end users either in the IT environment or real environment for acceptance of the software. Q-1: Identify the different types of SDLC models. Q-2: What is Verification & Validation? Q-3: What are different levels of testing in V model? a.	Component/Unit testing: Done by Developers in development environment. b. Integration testing: Done by Developers in development environment. c.	System Testing: Done by independent software testing team. d.	UAT: Done by user in IT environment (Alpha testing) or real environment (Best testing). In the V-Model, the Design part is called “Verification and the testing part is called “Validation”. Validation is the Quality Assurance process that help decide whether the software is working correctly or not (Pass or Fail), whereas the Verification is the Quality Control process where developers find why there is errors and take a corrective action. Validation- checking whether the product built is the right thing. Verification – checking whether the product is functioning right way as expected by the customer. Waterfall Model, V-Model, Agile Model, Spiral Model 7 Agile Scrum Model. The right side of V model is termed as Validation- “Are you building the right thing” and left side is Verification – “Are you building it right?”. 2: Verification and validation are independent procedures that are used together for checking that a product, service, or system meets requirements and specifications and that it fulfills its intended purpose. 1)Identify the different types of SDLC models. Ans: Verification is quality control where developers take place and Validation is Quality Assurance where tester take place! Ans: The V model has four levels of software testing- the Component(unit) testing, Integration testing, System testing and Acceptance testing (Alpha and Beta testing). Verification- The process of evaluating the work at the development phase to determine whether they meet the specified requirements for that phase. 1.. Identify the different types of SDLC models. 2.-2: What is Verification & Validation? 1.Identify the different types of SDLC models? Iterative / Incremental model : Spiral model and Agile scrum model. 5.What is Verification & Validation? left side is Verification – “Are you building it right?”. In verification the team will verify whether they included all the requirements mentioned by the the client. In validation the team will validate the developed code. The team will do all the testing to make sure they build the right thing and it is bug free. 6. What are different levels of testing in V model? integration testing, system testing and acceptance testing levels. At each level of software development, different documents produced are used as Test Basis. The UAT is done by end users either in the IT environment or real environment for acceptance of the software. and in the real environment is termed as Beta testing. Waterfall model, V model, Agile model, Agile scrum model, Spiral model. 2. Verification is actually testing the system, detecting defects and focus on testing for quality whereas Validation is testing and reporting the defects and focus on building in quality. Acceptance testing, System testing, Integration testing and unit testing. The classification of the SDLC models in software development is due to the differential project scenarios. The varying environments of software development, technology, client requirements, budget constraints etc. constitute the project scenarios. The IT Project Manager or IT company framework chooses the most appropriate SDLC model for software development. A popular sequential approach to develop the software is V model. The right side of V model is termed as Validation- “Are you building the right thing” and left side is Verification – “Are you building it right?”. In the component testing, each program component is tested independently in isolation by the developers. The statements, decisions, programming standards are tested at the program level. The development environment supports the component testing with the debugging tools that are inbuilt. The next level of testing is integration testing, wherein the interfaces between the programs or the modules are tested, often carried out in the development environment. The system testing is done by the independent software testing team. Both the functional and nonfunctional requirements of the software are tested to identify the defects and verify the software behavior. The software can be released to the client only after the approval from QA team. The various software testing tools and procedures are used for testing the software. System testing is followed by User acceptance testing(UAT). The UAT is done by end users either in the IT environment or real environment for acceptance of the software. The waterfall model is a classic, traditional model. It is suitable for simple and low budget projects. It is a sequential model.Here if there is any new requirement or any modifications need to be done in the project, we have to start from the beginning. So because of this we need to get clear and complete requirements from the clients are beginning of the project itself. The main difference between VModel and waterfall model is that here testing is done at different levels. It is a sequential model. At one side you have the Validation and the other side you have the verification. On the validation side you have all the steps/phases and on the verification side you have the different testing to be done. 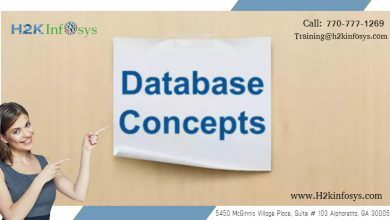 Each phase you prepare documents which will be used as test basis or reference documents for testing. Each phase has an associated testing to be done. Spiral model is an iterative model. It is suited for complex projects where there is high risk of failure, safety critical systems. The client does not give complete requirements at the first time. As we get the requirements we develop the software. It is time consuming and expensive because we need to repeat the spirals as we get the requirements. In each and every spiral there is planning, risk analysis, design and development & evaluation. We need to do risk analysis since we need to see if the new requirement is feasible or not. If it effects the existing requirements in a negative way then we need to find solution and suggest the same to the client. It is a incremental/iterative model. It is becoming increasingly popular due to it’s suitability to the current project scenarios. One module is considered at a time. Agile model is used when a New feature has to be implemented, quick release has to be done, new technology, new type of software needs to be developed. The developers might not have sufficient resources and support documents because it is a new technology, they will have to discuss with the clients , IT project team , vendors and because of this they deviate from the project objectives. Verification is a Quality control process. It involves error finding and correction. Example the developers run the codes if any errors they fix it. Validation is a Quality assurance process. It involves defecting reporting and tracking. Example the QA finds find , reports the same to the developer, after the developer fixes it , the tester retests it to see if working he/she will mark it as pass , if not fail. 1.Waterfall model, V model, Spiral model and Agile model. Verification means ensuring that the software has been built correctly.Validation is a process of evaluating software at the end of development process to determine whether the software meets the customer expectations and requirements. component(unit) testing, integration testing, systems testing, acceptance testing. Answer 2. Verification: It is the process of evaluating products of a development phase to find out whether they meet the specified requirement and design specifications. Following activities are involved in verification Review, Meeting and Inspection, Verification is carried by QA team. Verification is carried out before Validation. Following items evaluated during verification : Plans requirement specification, Design specification, Code, Test Cases etc. Cost of error caught is less. It is basically manually checking the documents and files like RSD etc. Validation: Its is the process of evaluating software at the end of the development process to determine whether software meets the customer expectations and requirements. Following activities are involved in Validation, testing like Black Box testing, White Box, testing, Gray Box testing etc. It is carried out by testing team. It is just carried out after Verification. Following item is evaluated Actual Product or Software under test. Cost of errors caught is more. It is basically checking of developed program based on the RSD and files etc. a)Identify the different types of SDLC models. b)What is Verification & Validation? -The right side of V model is termed as Validation- “Are you building the right thing” and left side is Verification – “Are you building it right?”. c)What are different levels of testing in V model? -The V model has the four levels of software testing- the Component(unit) testing, integration testing, system testing and acceptance testing levels. verification: it is process to verify all the documents to preventing the errors and to check whether we are building the right product. validation: validates the developed software to ensure that we are building the product right. unit/component testing, integration testing, system testing and user acceptance testing. Validation: Are you building the right thing? Verification: Are you building it right?